With his first graphic novel, longtime Illustration faculty member Antoine Revoy 99 FAV synthesizes cross-cultural childhood influences and his personal journey to date. Born in Paris, the artist spent his formative years in Tokyo before coming to the US in 1995 to study at RISD. 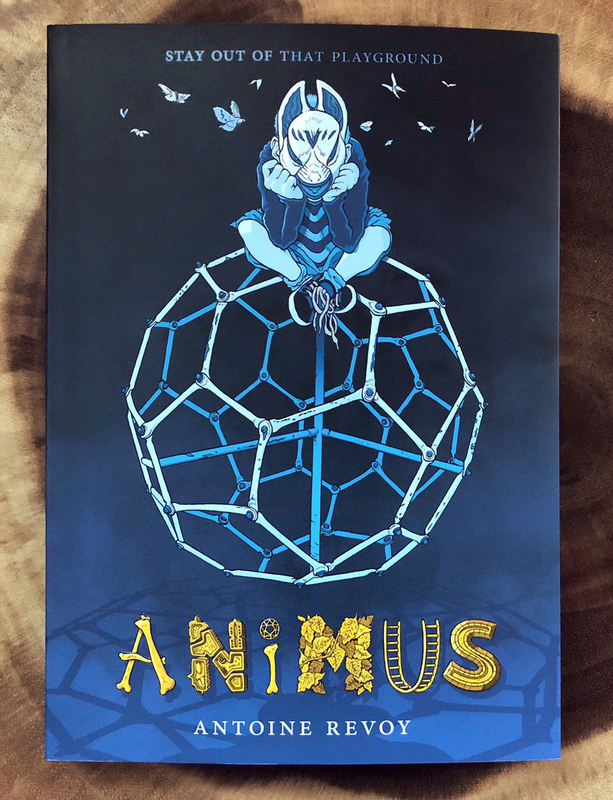 ANIMUS (2018, First Second Books) draws on diverse styles from European, Japanese and American comics to weave a tantalizing ghost story for young readers and adults. Given his teaching schedule and thriving freelance practice, it took Revoy about two years to produce the book, painstakingly drawing in pencil on Bristol paper and then inking his images with nib pens dipped in black India ink. He added the text last, using digital type in order to build another visual layer. When he was a student at RISD in the mid 1990s, Revoy majored in Film/Animation/Video and believes that the painstaking traditional animation work he did during his junior and senior years still comes through in his craftsmanship as an illustrator. Professors Tom Mills, Gareth Jones and Fred Lynch 86 IL proved to be key to his creative development, but he also credits the RISD community as a whole for pushing him forward and helping to shape his style. 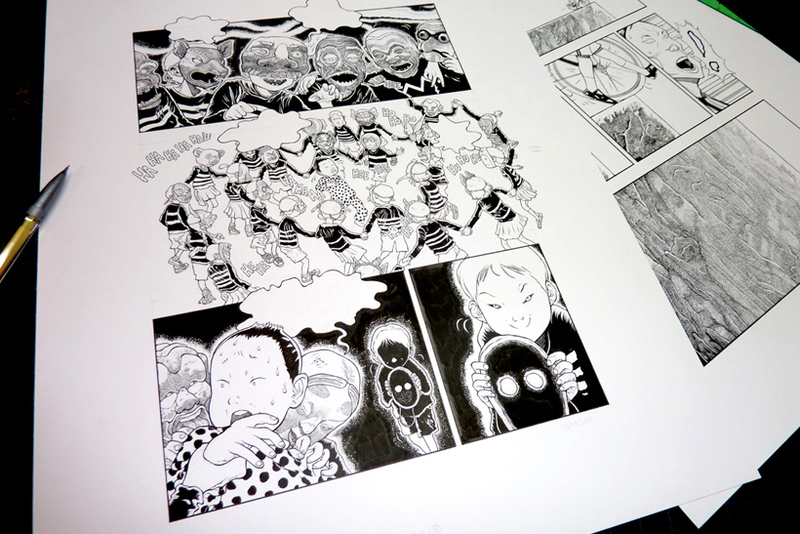 Revoy initially worked in pencil on Bristol paper and then used nib pens dipped in black India ink. As a teacher, Revoy inspires students using an approach he first encountered during his Foundation year in a 3D design studio taught by Jones. Rather than dividing the semester into project deliverables or skill sets, he explains, Jones segmented the course into distinct sections that introduced students to the various qualities of three-dimensionality one at a time: first plasticity, then rigidity and finally elasticity. A massive new book edited by Illustration Department Head Susan Doyle 81 IL/MFA 98 PT/PR captures the global impact of illustrators on human knowledge. Three-time Caldecott Medal winner David Wiesner 78 IL knocks it out of the park again.